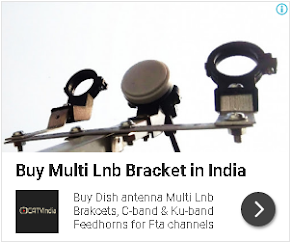 This is good news that DD Free dish India's Free DTH service preparing for migrating satellite from Insat4B to GSAT15. This information provided by Mr.CK Jain via his official twitter handle. DDfreedish is migrating to GSAT 15 on midnight of 31st Jan and 1st Feb 2016. Will post details soon. All STBs will require retuning. Mr. Jain also informed that migration will be starting in phases to minimize interruption; all technical parameters details will be provided to users, users will need to feed new frequencies to their set-top box and re-scan their set-top boxes. "After successful migration, DD Free dish have new and more channel slots so MPEG-2 and MPEG-4 TV channels will be add in next expansions" he added.